Animals require oxygen intake and carbon dioxide expulsion to sustain cell respiration. steep partial-pressure gradient favouring O2 in and Co2 out. Circulatory systems use positive pressure generated by one or more hearts to transport stuff throughout body. How are these gases along with nutrients, waste, etc transported throughout body? 8.1 Why is respiration and circulation necessary for animals? 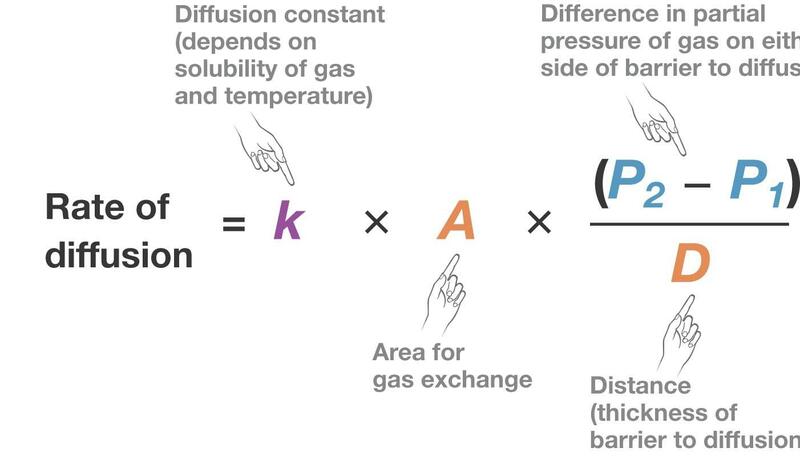 What is the differences between total pressure and partial pressures of a gas mixture? Why are the partial pressures of gases such as oxygen and carbon dioxide important? Describe how fish gills generally work. Describe with detail how the fish gill is a countercurrent exchange mechanism. What is countercurrent exchanges? How do vertebrate lungs work? What are the mechanisms of ventilation of the mammalian lung? How do changes in pressure result in lung ventilation? How do bird lungs work? How do animals exchanges gases with the environment and transport substances within their bodies? 8.1 Brief overview of respiratory and circulatory systems. Important bc need to O2 to produce ATP. Making ATP makes Co2. You need to get rid of Co2 because it can become acid in your blood. Not good. What are the four steps of gas exchange between environment and mitochondria? Which system helps with ventilation and gas exchange with the environment? How much oxygen in environ vs tissue? 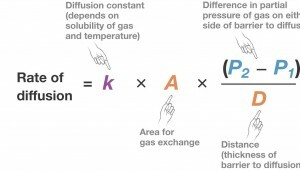 Partial pressure = (fraction) of ( total pressure of mixture). How do small animals that lack lungs or gill exchange gas? What is the importance of the various parts of Fick’s equation? P2 – P1 is large. large partial pressure gradient -> maintained by efficient circ sys in contact with resp surface. If concurrent flow, then oxygen transfer stops where partial pressure gradient stop bc same partial pressure. What are the mechanisms of ventilation of the mammalian lung? How do changes in pressure result in lung ventilation? less dead space = dead space is restricted to short stretch of trachea between mouth and opening of anterior air sacs. all veins have some muscle fibres that contract in response to signals from nervous system, decreasing diameter and overall volume of vessels. Blood pressure in closed system is partially regulated by actively adjusting volume of blood within veins. Interstitial fluid. Focus on physiology of how lymph is formed. why does interstitial fluid build up? venuous end, osmotic force exceeds hydrostatic so fluid lost on the arteriole end gets reclaimed at venuous end of cpillary. What is the role of the lymphatic system? What are the parts of the human heart? What are the steps of the cardiac cycle – how do changes in pressure inside heart result in blood flow? electrical impulse form va transmit through fibres in muscular wall seperated ventricles. both ventricles contract as atria relax. How bp and blood flow regulated? if atmos is 45, predicted partial pressure in water surface is 45 mmHg. Left ventricle of heart fills ??????? Previous Previous post: Did you notice?